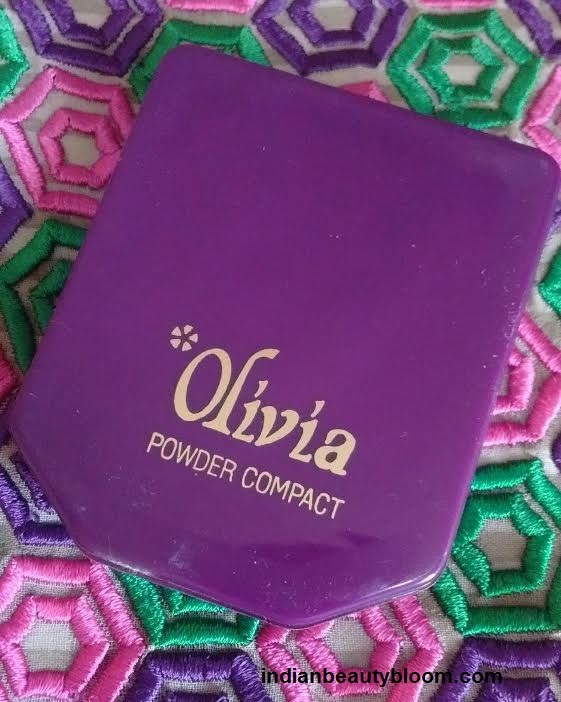 Today I am going to review a product from brand Olivia . 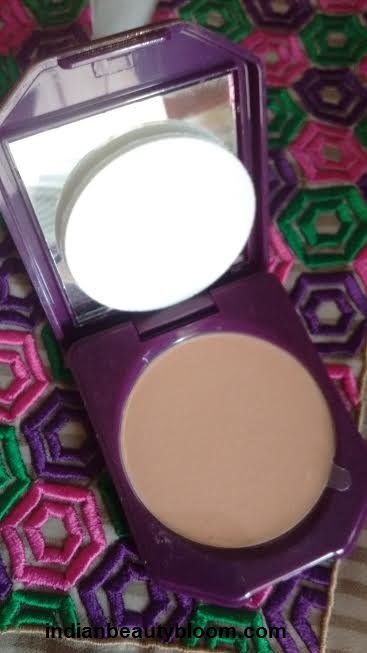 It’s Powder Compact of shade Natural Beige 02 . Olivia is an ISO 9001:2008 certified Company and it was started in the year 1978 . 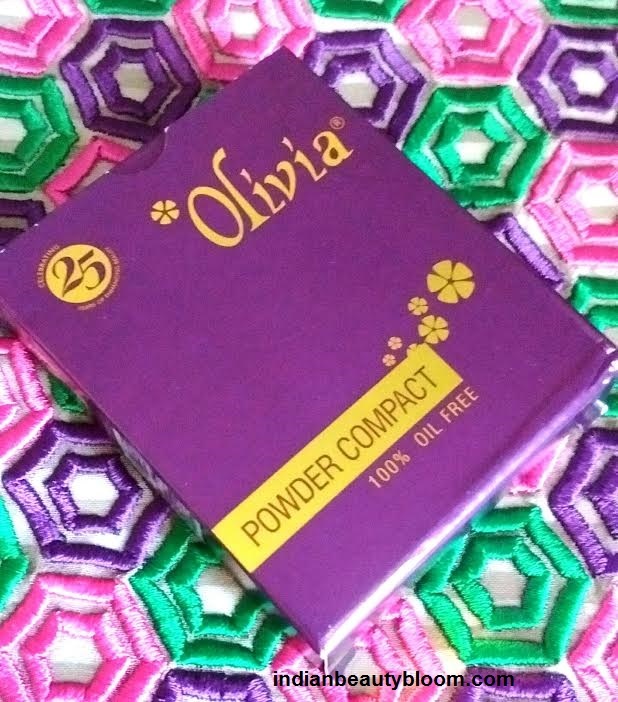 Olivia Powder compact is a light pressed powder which keeps the skin oil free and gives a matte look . Product packaging is good and travel friendly . It’s a Cute Compact case with a mirror and powder puff using which one can apply compact on face . 1. Does what it claims , absorbs oil from face and gives a matte look. 2. Helps to hide fine lines and gives good coverage . 4. Product packaging is good and travel friendly . 5.Easily available every where , one can find it at online stores like Flipkart.com & Purplle.com . 6.Not tested on animals . 7. Available in various shades, one can choose according to their skin tones . The product claims that it would give a matte look by absorbing oil from face , would not clog the pores and would improve skin . I am using this product and I like it . It does what it claims . Gives a matte look . 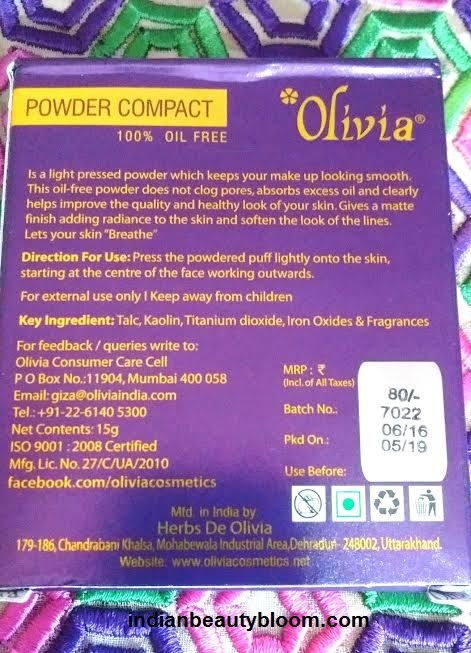 One needs to apply this on face and it does absorbs all oil & sweat from face and instantly the face looks bright .Staying period is around 5-6 hours after that one needs to reapply this on face . It’s price is in affordable range , less than products of other brands .